When the settlers of the First Aliyah, Jews who immigrated to Palestine from Eastern Europe in the second half of the 19th century, encountered difficulties in cultivating the land due to their lack of experience and the soil's characteristics, they began to seek support outside of Palestine for establishing vineyards and wineries. Their representatives traveled to France, where they met Baron Edmond de Rothschild, owner of Château Lafite. As a Zionist, Rothschild provided financial and moral assistance to the settlers. His first vineyards were planted near Rishon LeZion, south east of Jaffa. In 1882, French rootstock was imported, and the Baron sent his own wine specialists to advise the pioneers in this enterprise. Construction began on a large wine cellar in Rishon LeZion. Later, a second winery was established in Zikhron Ya'akov, situated on Mount Carmel just south of Haifa. In 1895 Carmel Wine Co. was formed to export wines of Rishon LeZion and Zikhron Ya'akov, first in Poland, then in Austria, Great Britain and the United States. 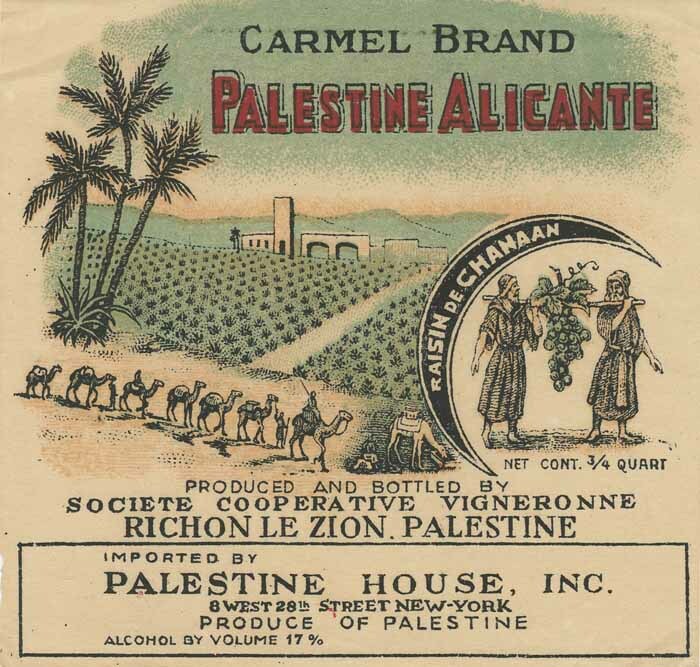 In 1902 Carmel Mizrahi was founded in Palestine to market and distribute wines to the cities of the Ottoman Empire. In 1896, the first Carmel wines were presented at the International Exhibition of Berlin at a special pavilion devoted to the industries of the Jewish colony in Palestine. Over a hundred thousand people visited the exhibition, looked at the products, and drank a glass of Rishon LeZion wine. A year later, a world gardening exhibition was held in Hamburg where the settlers' wines were well received. Rishon LeZion wines won a gold medal at the Paris World's Fair in 1900. In 1906, both the vineyards and the management of the two wineries were deeded to the winegrowers, forming the "Societé Cooperative Vigneronne des Grandes Caves, Richon le Zion and Zikhron Jacob Ltd."